Before the first grounder is scooped, before the first single is smacked into left field for Capital Little League this spring, there is a lengthy check list to be completed. Drag the fields, mow the lawns, repair the scoreboard, mend the dugout fence. Then, there’s the signups and the coaches for the 42-plus teams and securing umpires for the season. For the 500-plus kids to get a chance to single up the middle or to scoop a grounder and throw to first for the out, there’s lots of work that needs to be done. And, from coaches to umpires to the league’s executive board, they’re all volunteers for the 150-game season. No one gets paid. Leading this impressive pack of volunteers are two champions of volunteering – Loris and Russ Gies. Between the two of them, they’ll volunteer 40 to 50 hours a week during the baseball season which starts in April. During the off season over the winter, they’ll still commit 20 to 30 hours a week. “We just love baseball,” Russ said. This has become their home away from home, their place of commitment. Regularly, throughout the week, Gies is sitting on the mower, cutting the grass on the baseball fields. Loris is in front of her computer or on the phone, tending to baseball business or checking the league’s website. About six years ago, Russ and Loris put their hands up, volunteering to be on the board. When Russ asked his wife to go to a meeting because he couldn’t make it, Loris did the unexpected. She volunteered to be the league president. Russ, with help from R.L. Wilson, does the maintenance. Russ also does the team selections, making sure friends and relatives get placed together. Whether it’s a new scoreboard, a dugout repair or dragging the infields (again), Russ is on the job. Russ, who is 67 and is a retired officer from the Olympia Police Department, is the answer to the question, “Who can fix this?”. Loris, who is 70 and is a retired state worker, is the answer to boosting league signups. When Loris first volunteered to be president, the league’s numbers were dwindling, down to about 200 kids. Now, after putting together a new website and connecting with the community, turnout last spring jumped to 520. They’re expecting turnout to top 600 this spring. 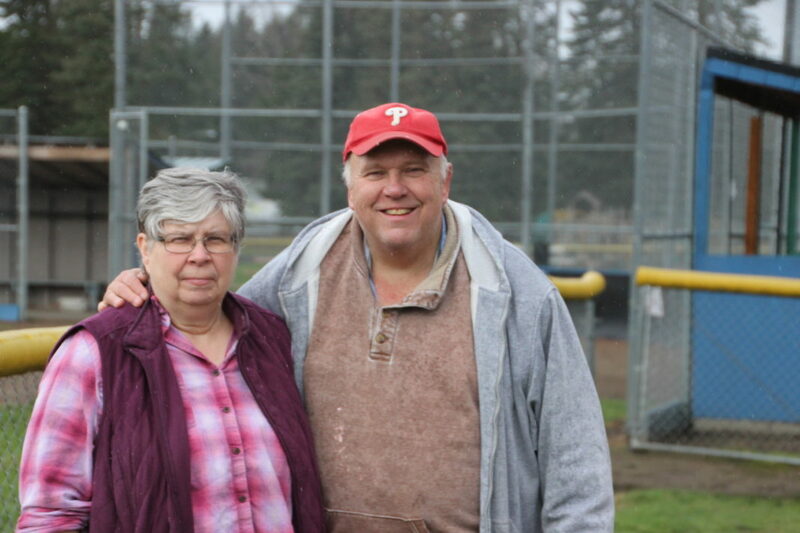 For about 20 years now, the fields for Capitol Little League have been next to the Tumwater airport, which the league leases from the Port of Olympia. Over the past couple of weeks, Russ added a field, giving the league seven fields. 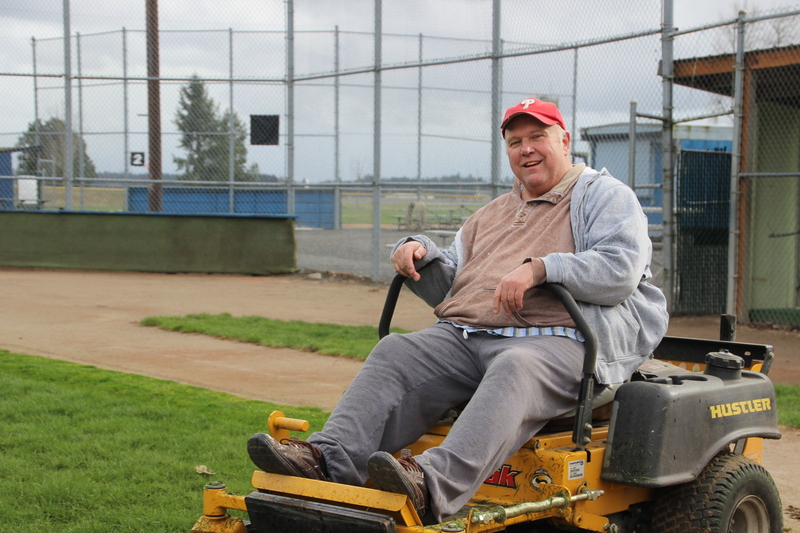 During the season, Russ is out working on the fields six days a week, trimming, repairing, picking up garbage or fixing a dugout. “There’s always something that needs to be done,” Russ said. For Russ, who used to coach in the league when his son played, the reason he volunteers is simple. Russ’ payday comes on that first day of the season when the kids march out on the fields and each player’s name is read and the national anthem is sung. During the week, R.L. Wilson, who is a policeman for the Lacey Police Department, is often helping Russ mow, repair and clean. 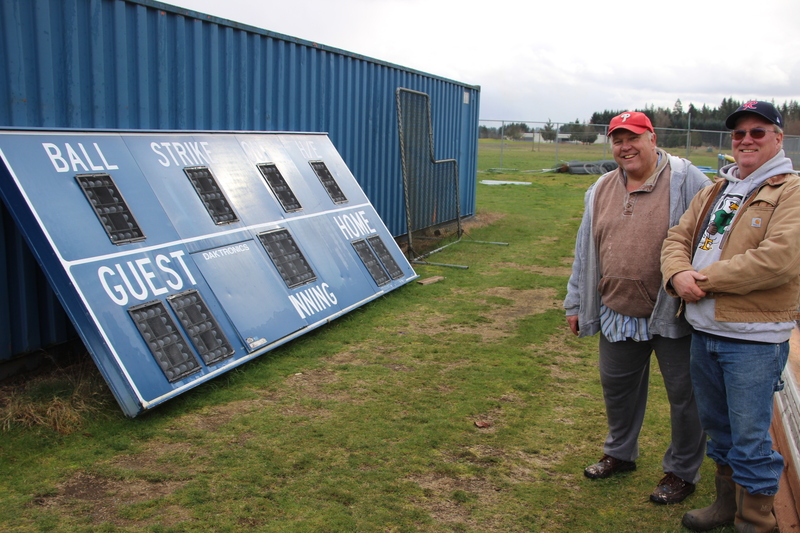 They recently put up a used scoreboard Russ bought online for just $120 from Big Bend Community College in Moses Lake. If someone doesn’t do it, it doesn’t get done. So, Wilson’s hand goes up and he volunteers. 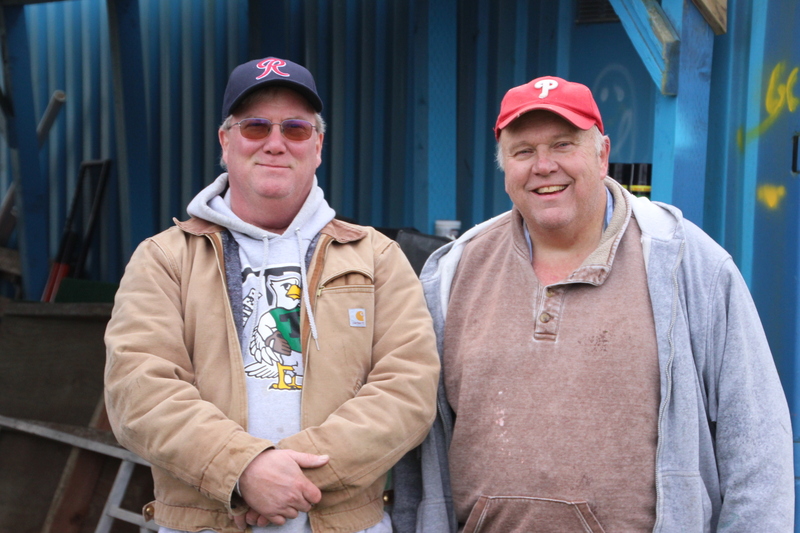 Loris and Russ have helped revive the Capitol Little League, helping to boost interest and support. Byrne said without them, the league might have collapsed. The parents and the nearly 600 kids expected to play for Capitol Little League give Loris, Russ and all the volunteers a high-five for the support. It would be easy for Loris and Russ to sit back and relax during their retirement, but Loris said she wasn’t brought up that way. Even though there’s no pay, there’s still a reward – the satisfaction of having helped. It’s what keeps Loris and Russ going. And that’s kept Capitol Little League going, too.